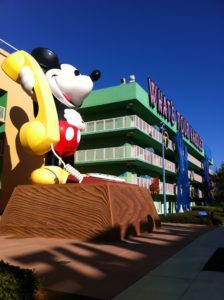 Your family has been asking and pleading about wanting to go to visit the “Mouse” in Walt Disney World. You have been hesitant because there is so much planning involved. You may decide to contact a Disney travel agent because the 1st decision to make is choosing a Disney Resort. Two possible types of Disney resorts are value and moderate resorts. The value resorts are the lowest cost. 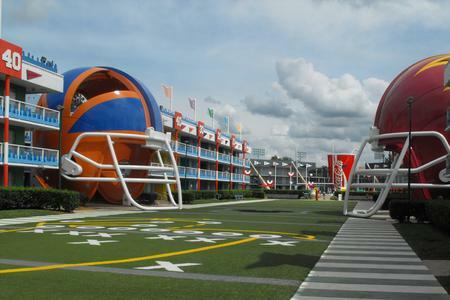 They are: Disney’s All Star Sports, All Star Music, All Star Movies, Disney’s Pop Century Resort, and Disney’s Art of Animation Resort. The resort rooms all have 2 double beds and sleep 4 people plus a child 2 and under in a pack & play. Art of Animation and All Star Music have family suites that can accommodate a family of 6 and the parents can have a separate bedroom. Please note that it is less expensive to stay in 2 standard rooms at a value resort instead of 1 family suite. 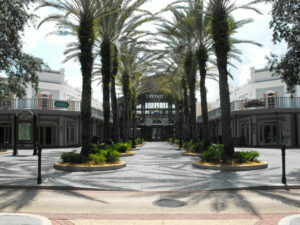 The value resorts all have a food court that services breakfast, lunch, and dinner with numerous options. They all have one main bus stop location to travel to all the theme parks, water parks, and Disney Springs. 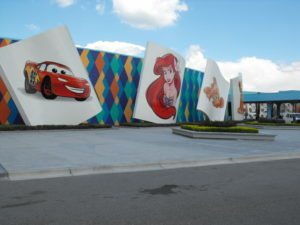 Art of Animation is the newest of the value resorts and the main pool plays Little Mermaid music underwater! At certain times during the year, there will be groups of high school sports teams and large groups staying at the All Star Resorts. As a Disney travel agent who travels to Walt Disney World often, I have 1st hand experience seeing these different groups. The next type of resorts are moderate resorts. 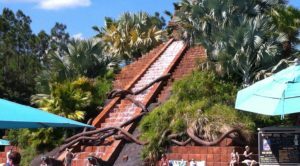 They consist of: Disney’s Caribbean Beach Resort, Disney’s Port Orleans Riverside Resort, Disney’s Port Orleans French Quarter Resort, and Disney’s Coronado Springs Resort. Most of the rooms at Caribbean Beach and Port Orleans Riverside will accommodate 5 people plus a child 2 and under in a pack & play. The Port Orleans French Quarter Resort will accommodate 4 people plus a child 2 and under. The resort does have some King Bed rooms as well. Coronado Springs will accommodate 4 people and a child 2 and under and the resort has a select number of suites too. A Disney travel agent will mentioned the majority of the rooms at the moderate resorts have 2 queen beds and the rooms are slightly larger than the value resorts. They all have food courts, pools, and slides that go into their pools, where the value resorts do not have slides. All the moderate resorts will have a main bus stop on site to take everyone to all Disney parks. Please be aware that the Caribbean Beach and Riverside are very large resorts and have multiple bus stops within the resort. The Riverside and French Quarter have a boat that will take you over to Disney Springs. My name is Jeffrey Merola and I am an Authorized Disney Vacation Planner, Disney travel agent, author of 9 Walt Disney World guide books, and Founder of Mouse Vacation Planning. I can plan everything possible including booking a Disney resort that is best for your family’s needs.